Everyone who’s been here, rank Tai Long Wan as the best or one of the best beaches in Hong Kong. Just like Long Ke Wan, this beach is remote and it takes some effort to get here. But if it was any easier, the beach wouldn´t probably be as perfect as it is today. Sitting on the beach watching the emerald waters makes you feel you are 1000 miles from the hectic pace of Hong Kong. This is the perfect getaway from the city for reloading your batteries and enjoying a small piece of paradise eventually not so far from HK. On a right wind direction this beach is also a great spot for beginner surfers. Besides food&drinks, the small restaurant on the beach also has some surfboards for rent. Take MTR to either Diamond Hill or Tseung Kwan O station. From either of the stations, take 40 min bus ride to Sai Kung. From here you will have some options depending on your willingness to hike or pay: A. Take the 29R Minibus (if available) or a taxi to the Sai Wan Pavillion. Hike 90mins to Ham Tin or Tai Wan Beach. B. Take 96R or 94 to Wong Shek Ferry Pier, take the Public Ferry to Chek Keng Village, hike for 60 minutes. 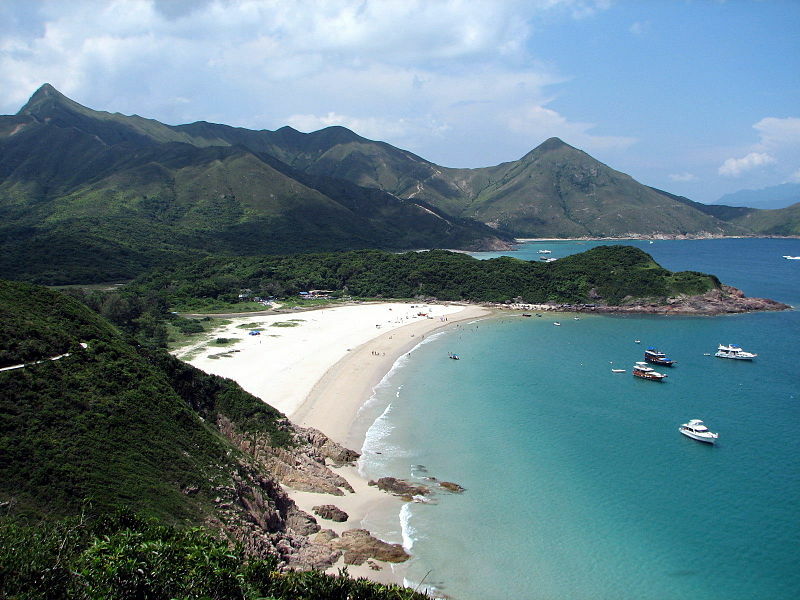 C. Hire a private speedboat directly from Sai Kung to Tai Long Wan (under $200 each). The availability of the boat&captain may not be certain. The beach is free, see the transportation costs from private://How to get thereprivate://.